Maybe you just went on a family outing over the weekend and took some fun snapshots of the kids. Or, you went out on the town with your closest friends on your birthday and have a series of unforgettable photos. 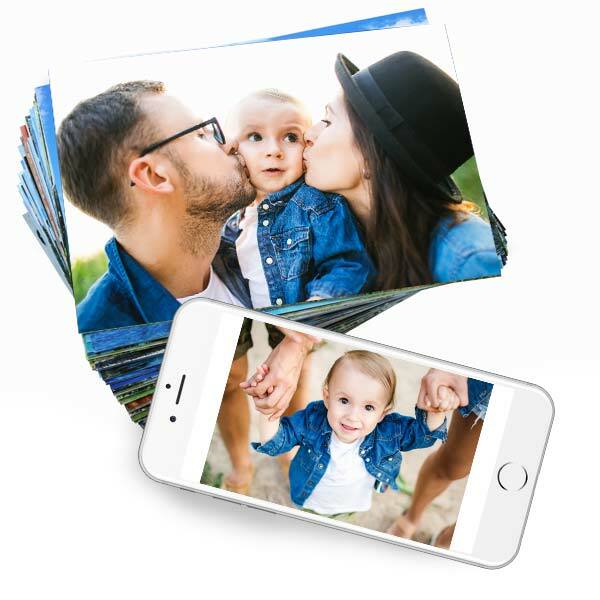 Instead of keeping these photos stored away on your phone, why not print your favorite memories as stunning prints to preserve them year after year. We offer a variety of sizes ranging from wallet prints to custom wall poster enlargements that are perfect for framing or adding to your favorite scrapbook! Additionally, you have the choice between 4 different photo paper printing options so you can show off your best pictures in style! Order metallic photo prints to liven up any framed memory or order classic matte prints for your favorite album. MyPix2 has all your photo printing needs in one place. You can even design a canvas print with our selection of custom options. No matter the photo, MyPix2 has everything you need right here to make your photos stand out! MyPix2 makes photo processing easy and convenient. Place your order from your phone, laptop, or tablet and select from a variety of sizes and custom printing options. Best of all, you can place your order in minutes. No more driving to the local printing lab or waiting in line. Just high quality prints delivered right to your door! Nothing adds a boost of color and character to your home décor more than a high quality photo print. With our variety of print sizes and photo paper options, you can print your favorite memories just the way you like and relive your favorite memories, every day. Pix Prints and Enlargements can easily be framed to add personality and color to your wall décor, no matter the style of your home. Maybe you’d prefer a matte finish or you’d like to highlight your favorites with our metallic photo paper prints. At MyPix2, we have all the options to help you celebrate your memories in style. Maybe you took a cute photo of your kids at the park and you want to display it for all to see in your living room. Why not print an 8×10 copy and find an elegant frame to display it on a blank wall in your family living area. Showcase it on a metallic photo print or choose from glossy or matte for a classic look. Or, perhaps you have a photo from your wedding day that is just too good to keep stored away on your computer’s hard drive. Update a drab wall with color, and go with our 24×36 photo print or 20×30 poster prints. At MyPix2, we fulfill all of your printing needs! Whether you want to go large or small, we have a print size just for you. 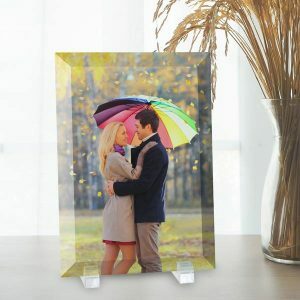 You can frame your new high quality prints to instantly add interest to your wall décor or dress up a side table with a favorite memory set in an easel back frame. Just upload your pictures to MyPix2 to get started and create the perfect prints to preserve your photos in style! If you’re looking to print your photos on a variety of photo paper options, MyPix2 has an option just for you. Whether you want to brighten up your wall décor with our personalized photo posters or add your cherished memories to your scrapbook, our different photo paper types are sure to make your photo project stand out. Maybe you like the look of a classic print. Our classic photos are printed on real silver halide photo paper and you have the option of a matte and glossy finish to fit in with your décor or family photo album. Our glossy and matte photo paper prints are great for framing or adding memories to your scrapbook so you can show off your favorite memories in style. For extra vivid colors, iridescent hues and striking, deep contrasts, you can’t go wrong with our metallic prints. Available in a full range of sizes, our lustrous metallic printing option will display your photos in an entirely new light that is guaranteed to impress. Our fine art prints are a great way to transform your favorite memories into artist quality décor. Printed on the best quality archival matte paper with the finest pigmented inks, our giclee fine art prints will look stunning in a matted frame and will add a professional look to any room in your home. Like our other printing options, our fine art prints come in range of sizes so that you can easily frame them to display on your wall. In addition to traditional photo prints, we also offer a personalized photo banner and personalized plaques with photos, just to name a few. Display your photo in a variety of ways with all of our stylish, custom options! Looking to feature multiple photos as part of your wall decor collection? You can’t go wrong with our photo collage prints! Pick out your all time favorite photos from your phone, tablet, or computer and upload them to MyPix2. Then choose a collage print size and select a background as an accent to your photos. Creating your collage is as simple as dragging your photos and placing them on your collage in the online collage maker! Photo collages look perfect featured in your own frame and nicely update your walls with character and color. 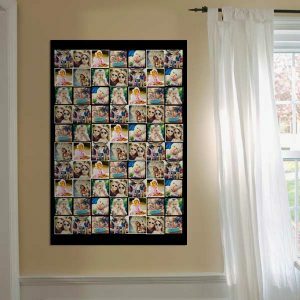 From a series of wedding photos to your kids’ favorite school photos, you can create a collage that showcases your fondest memories for a fun trip down memory lane that hangs on your wall! Digital images can be lost on damaged smart phones or in photo shuffles online, so why not print them out to keep them safe. Our photo prints make a great addition to any scrapbook or photo album. Choose between 4×6, 5×7 and 8×10 print sizes and fill your album with high quality prints to make your memories last a lifetime. Custom Photo Books are perfect for sharing with your loved ones when they come over to visit. Many of have dozens if not hundreds of prized memories saved to Facebook. Instead of keeping them digitally stored indefinitely, why not print them and preserve them in an elegant frame or your favorite album. 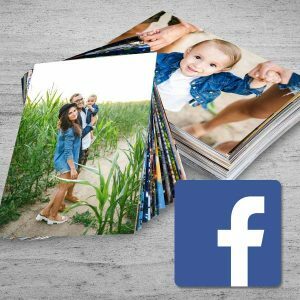 At MyPix2, we make Facebook photo printing easy. Just go to our main photo page, select our Facebook option, and have your Facebook account directly connected to MyPix2 to order prints of your Facebook favorites! Have a favorite picture of your pet you want to hang on your wall. 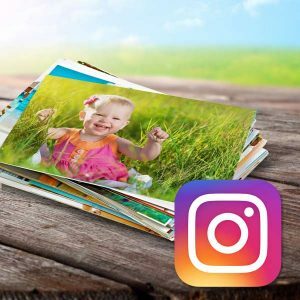 Maybe you want to print Instagram photos to add to your personal album. We have several square print options including 4×4 glossy prints and 12×12 prints that are ideal for a variety of occasions. Speaking of Instagram, we also offer Instagram collage prints. Display up to 77 photos and frame them on your wall for a great addition to your wall art collection! If you’re printing a few snapshots for yourself, why not print a few extra copies for family and friends. Photos are great way to share your treasured memories with loved ones and make a great gift no matter the time of year. There’s no better way to make a special someone smile than by giving them the gift of a cherished memory. At MyPix2, it’s easy to order two prints or more. Simply change your order quantity at checkout and print a beloved moment for yourself and those you love. If you’re searching for a gift for Mom for her birthday, why not print out an enlargement of her favorite photo and add it to a matted frame for an elegant look. Maybe you showed her a fun family snapshot you took with the kids that she simply adored. Print an 11×14 copy just for her and give it to her at her birthday celebration. It’s a gift she won’t soon forget. Whether it’s Mom or your closest friend, you can easily print a stunning quality photo with MyPix2. Just upload a cherished photo and pick a photo size for the picture perfect gift everyone will enjoy. At MyPix2, we offer custom cropping for each of your photos so you can print your favorite memories to your specifications. Choose from our full bleed photo option or fit your image to any print size so none of your image is cropped. Our ordering process will allow you to view each picture and choose the cropping method that suits you best. Maybe you have a stunning photo that you want to show off in an elegant 8×10 frame. Choose our full bleed cropping option to print your image edge to edge. You can even center your subject and resize what prints on your 8×10 so your photo is processed just the way you like. No matter how you want to showcase your memories, our cropping feature allows you to print it to your highest standards! Whether you want to print a collection of photos to add to your album or you’re looking for photo collage poster printing, we have high quality photo prints in a variety of sizes to tailor your order to your needs. Select from classic glossy and matte photo paper, metallic photo prints and more to fully customize your order. 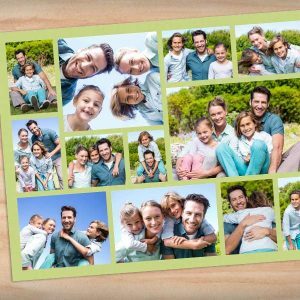 You can even crop each of your photos individually so you can print your pictures to perfection and celebrate your memories the way they deserve. With so many options available and a quick and easy ordering process, you can’t wrong. Just upload your cherished digital images to MyPix2 and showcase your finest remembrances on high quality photos for year after year of enjoyment!